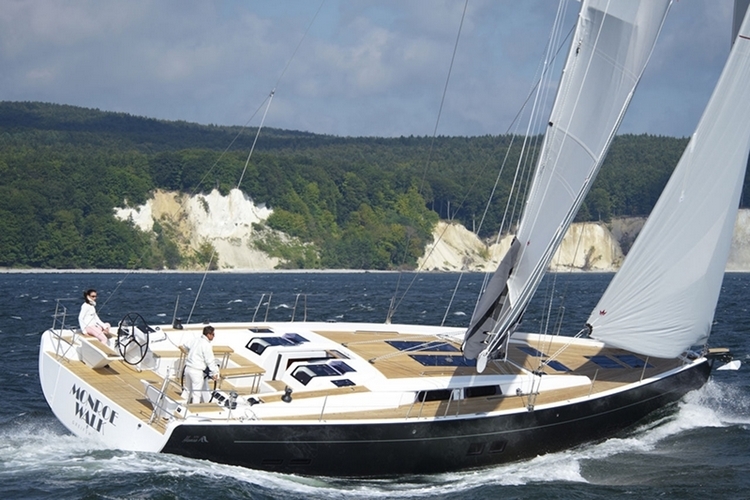 Hanse 575 is a luxury sailing boat in our offer available for charter in Croatia. 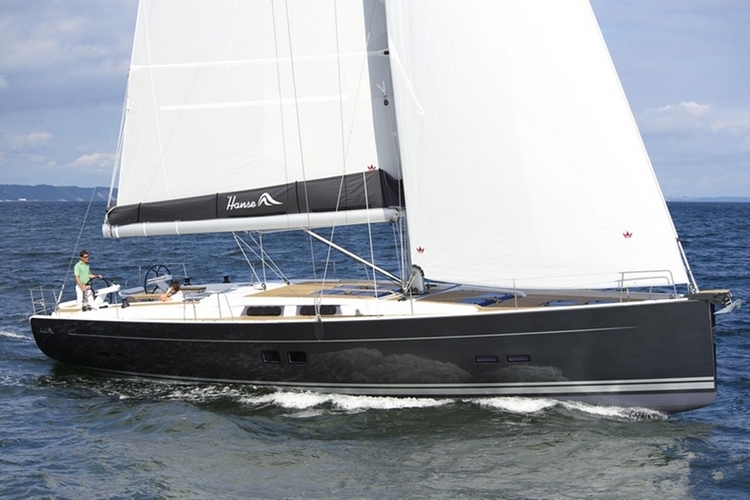 Sailing boat Hanse 575 is available out of various marinas on the Adriatic coast. This luxury and modern sailing boat is equipped up to to the highest standards and will meet all the expectations of the most demanding sailors. 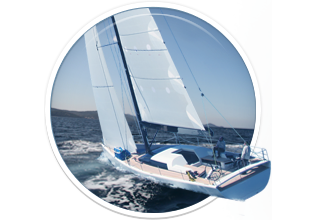 In Croatian charter market this sailing boat comes in 3 version availalable for rental 3 cabin, 4 cabin and 5 cabin version. 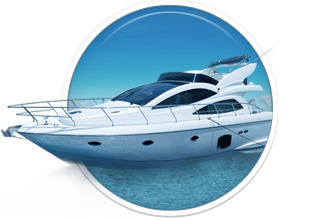 It can be chartered bareboat under condition of holiding the valid nautical license and VHF certificate. 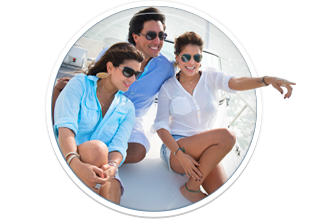 If one don’t posess requested sailing qualification it is necessary to hire a professional skipper. 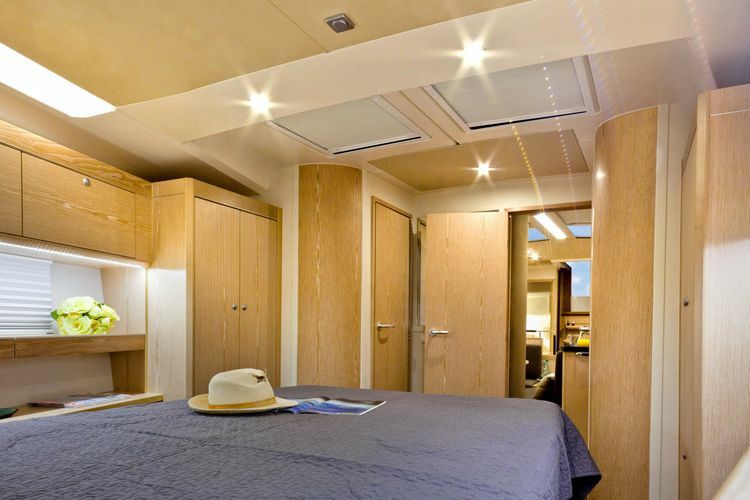 Hanse 575 is luxuriously furnished with lot of light, air conditioned and with the most modern navigation and safety equipment. 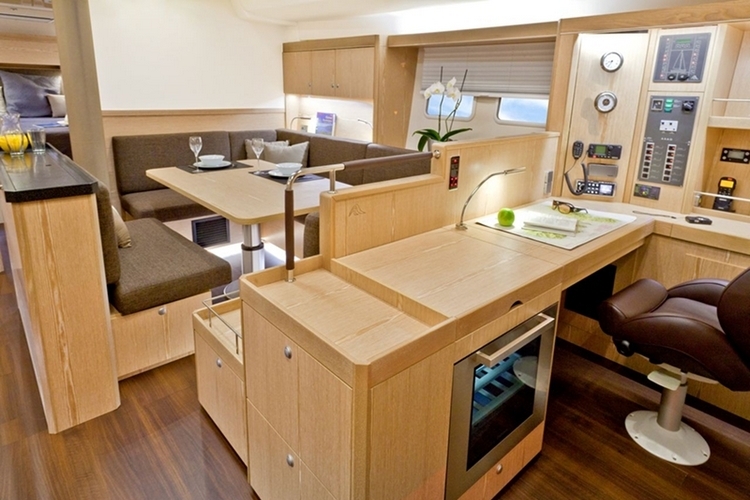 Great position of navigation table, galley and saloon will please the most demanding requests and will make your sailing pleasant experience with certain taste of luxury. This amasing sailing boat is following thelatest trends pushing the boundaries of design, functionality, performance, luxury and safety. Thus a brand new concept has been created that all sailing fans will love. All lines lead under the deck to the winches next to the helm position. Double cockpit tables you can convert to a huge sun baking area. Continuous bulwark brings style and safety. Large opening bathing platform for easy access after swimming. 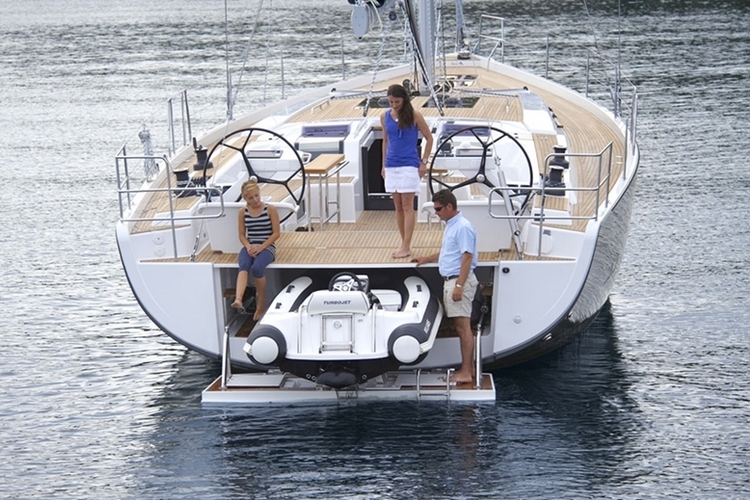 Dinghy garage designed for Williams 285 jet tender with docking system. 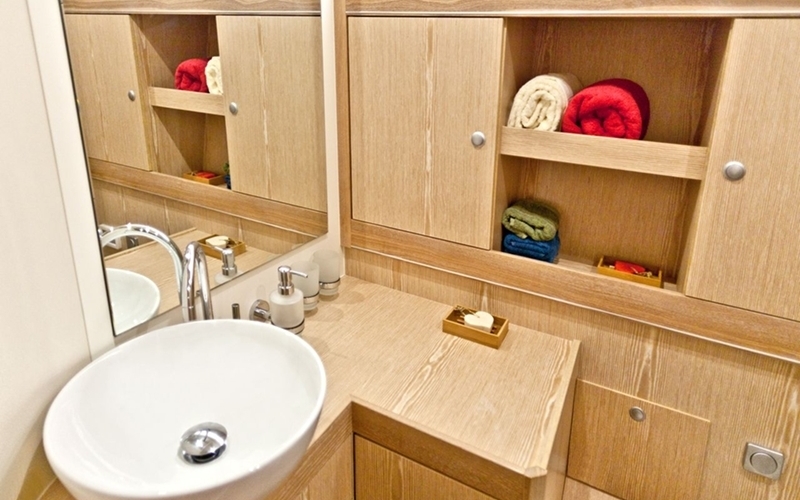 Flush, opening hatches bringing heaps of light and ventilation to the interior. Dining area converts to king-sized lounge. 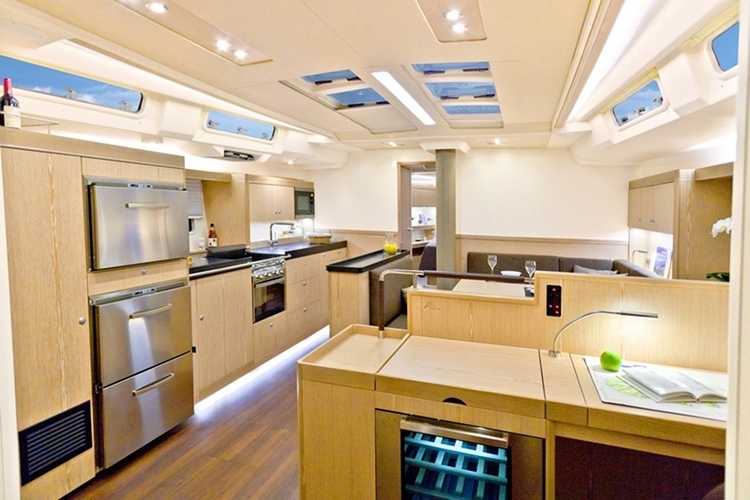 Long galley with fridge drawers, dishwasher, ice-maker, microwave and espresso maker. Vinylester sandwich construction, stainless steel keel bolts, main bulkhead laminated to deck and hull. 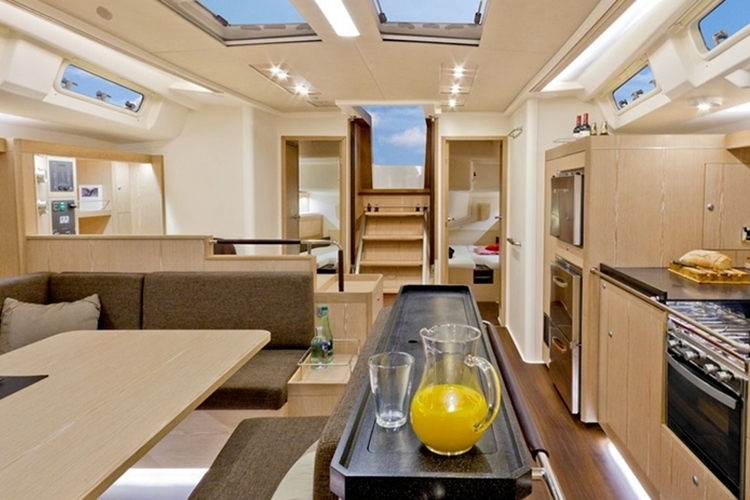 Here you can find basic information about Hanse 575. 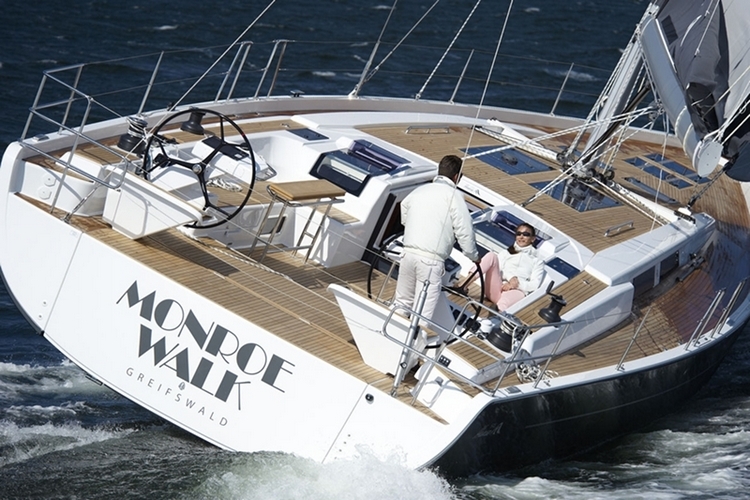 Other specifications, can vary from boat to boat, therefore we recommend to search for particular Hanse 575 from our database, in the destinations of your preference.